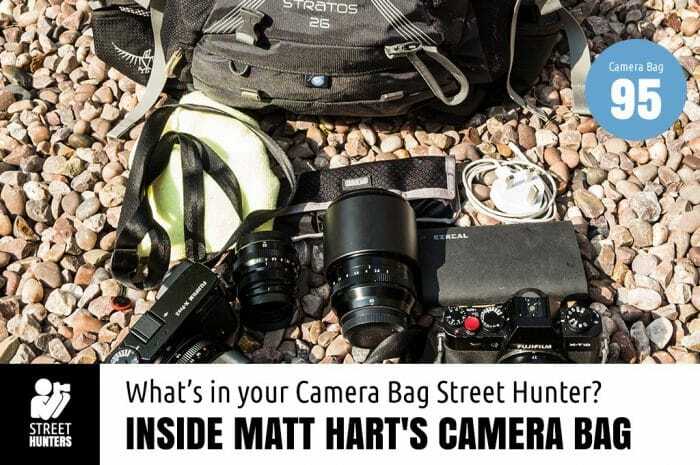 Home Tags Posts tagged with "Matt Hart"
Send in more camera bags. Let’s make them 100! 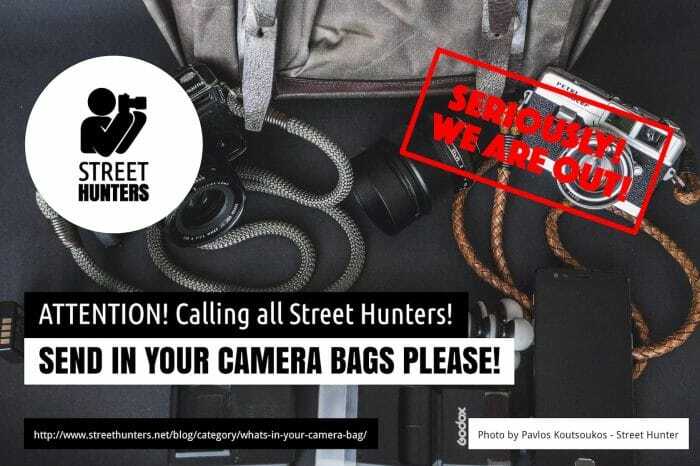 Dear Streethunters.net Readers, for more than 2 years now we’ve been sharing with you the contents of your camera bags. We have finally reached the point where we are at the 100 bag precipice. 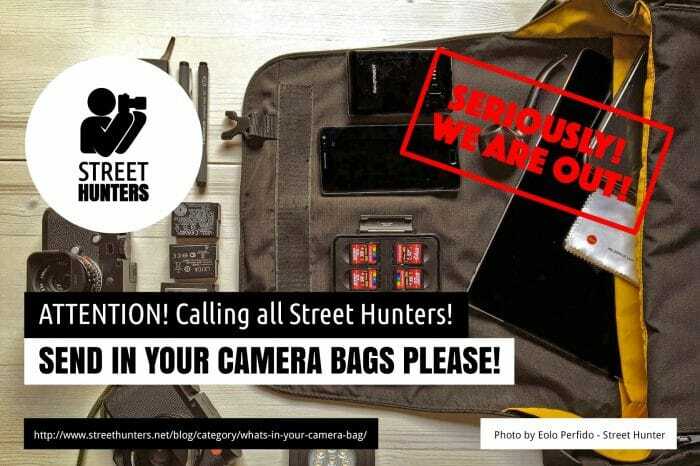 We have published 99 street photography Camera Bags and we are waiting for that elusive 100th camera bag to one day pop into our mailbox. Since we published camera bag 99 on August 1st there have been no new submissions and as such the “What’s in your Camera Bag?” weekly posts have stopped being published. Unlike our other posts, the “What’s in your Camera Bag” posts depend 100% on you and your level of participation. About me. I am a Professional Photographer from Liverpool UK. I work all over the world as a Photographer, specialising in black and white photography. I am known for my Street and Event photography and for my relationship with Fujifilm. I also started Fujiholics about 16 months ago to bring free photowalks and workshops to the photography community. I like to travel as light as I can there is no point me choosing the Fuji system and then bogging myself down in kit. I mostly walk the streets with just one camera and one lens with batteries in my pocket.